There is a controversy regarding comments over the Rabbinic role in helping a victim of molestation, made in a lecture by Rabbi Manis. I disagree with Rabbi Harry Maryles’s take as described in the above link. If you watch the video alone, without knowing what he said in the first audio recording linked there, I don’t think there is anything objectionable in the video per se (viewed alone). The audio of the first lecture is another thing, however. It is true that the “role” of the Rabbi must be different to a psychologist. It is true that Rabbis should not assume the role of police or psychologist. 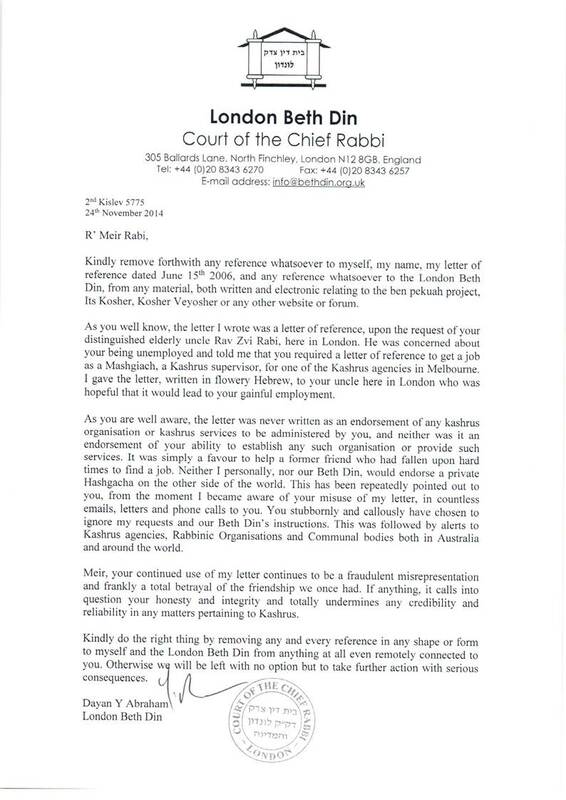 The Rabbi (here I assume Friedman means the pulpit or town Rabbi, as opposed to the Rabbinic member of a Beis Din or a Rosh Yeshivah both of whom generally don’t deal with a particular community or its membership in this way) needs to deal with the victim vis-a-vis stressing and fortifying their status as a valued member of Klal Yisrael. The victim’s membership, under such circumstances is inviolate and axiologically grounded. The central issue to me is how you communicate this fact and serve to intercept the sense of possible alienation a victim may feel. Rabbi Manis’s audio presentation does this in a crass and unrealistic manner. It assumes that a person will feel alienated more by the fact that they have been the victim of a crime whose perpetrator’s punishment is Kores as opposed to say Malkus. In my opinion, this is a nonsense and is a most unsophisticated metric for measuring such factors. The Chacham, wise person, has eyes in his head. He observes, tailors, and reacts according to what he sees. Surprisingly to me, Rabbi Manis is a Chabadnik. Of all people, they are expert in stressing the inherent holiness of the soul, asserting that it can be found in every Jew, and are experienced in helping remove the “layers” of baggage of many varieties which may cloud the vision and experiential manifestation of this soul. Instead, Rabbi Manis, in the audio version, sounds like an old-fashioned, fire and brimstone, B’aal Mussar. Sure, there was a time where you could scare or influence someone to repent based on the technical halachic severity of the sin. Sure, there may have been a time where you could convince a certain type of victim in a certain era that the technico/halachic punishment of what had been perpetrated wasn’t as “severe”, say, as a crime deserving of the death penalty. No, the approach, ironically, ought to be to give strength by stressing the positive contribution that even continued orthopraxic practice can serve. Importantly, it may well also be beyond the Rabbi. A given community (Kehila) can quickly undo even the appropriate response and support of a Rabbi. If I was Rabbi Manis, I would apologise, and stress that his words and argument were not formulated in an acceptable manner, and stick to the thoughts that he expressed in the video. Even if he isn’t an official spokesman for Chabad, he’s considered important enough to be ascribed such attention. If he apologised, he’d be no less a person. In fact, he’d come across as more human and thereby more equipped to help people using his undeniable God-given gifts. We all make mistakes and express ourselves poorly. It seems it’s harder though to admit when we do. The audio bit was just an earlier bit not on the video. Same thrust. All teenage Jewish girls in Russia molested? Really? You’ve been much too soft on him. He has primitive views on the subject, but till yesterday was offering “coaching” on his web-site for a fee, including dealing with sexual abuse, Heaven help his past clients. Weberman was an unlicensed counselor, and we have our own very famous sicko here in Melbourne. I thought the audio was a lecture in Israel. The video clearly isn’t. I don’t think he has primitive views on the subject, I just think he’s really presented the wrong approach in a crass and unsophisticated manner. That video certainly on its own doesn’t offend me. I have written about unlicensed “counsellors”. “wrong approach in a crass and unsophisticated manner”. But he’s very sophisticated, one of the few Chabad “intellectuals”. So if it appears to you thus, I submit that’s his views are much worse than you think. Next Next post: Beth Din for Rabbi Manis Friedman?